Dear SPM Students, SPM 2016 result release date is Thursday, 16 March 2017. 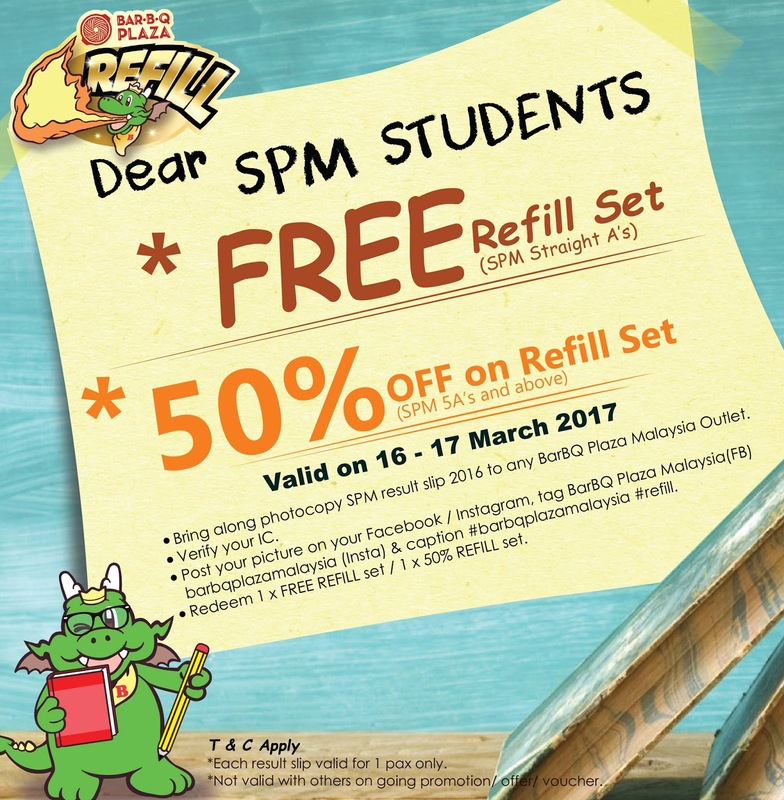 Bring along photocopy SPM 2016 result slip to any BarBQ Plaza Malaysia Outlet. Post your picture on your Facebook / Instagram, tag BarBQ Plaza Malaysia (FB) barbqplazamalaysia (Insta) & caption #barbqplazamalaysia #refill. Redeem 1 X FREE REFILL set / 1 X 50% REFULL set. Each result slip valid for 1 pax only. Not valid with other ongoing promotion / offer / voucher.